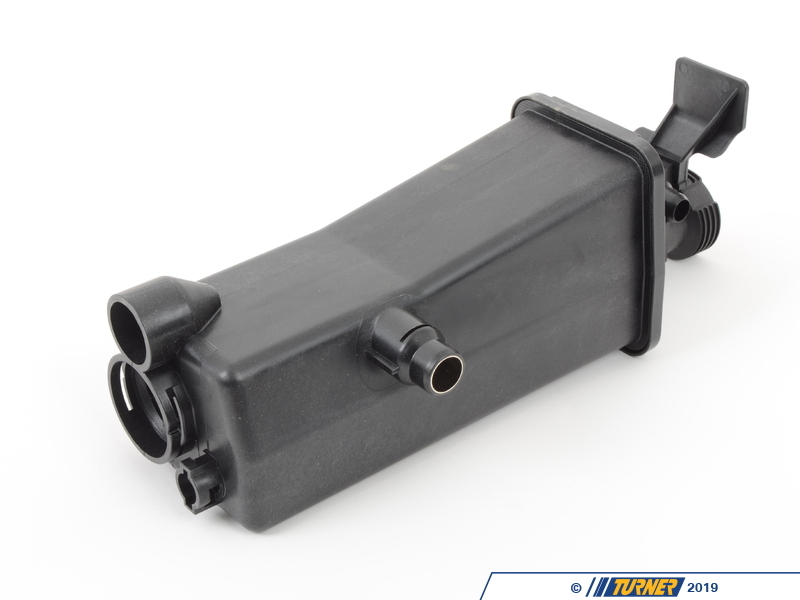 This coolant reservoir is for the non-M E46 3-series models from 1999-2006 (M3 takes a different expansion tank). We have found that the expansion tanks should be replaced based on age as well as condition. Expansion tanks seem to have a lifespan of less than six years before they show signs of fatigue and wear. 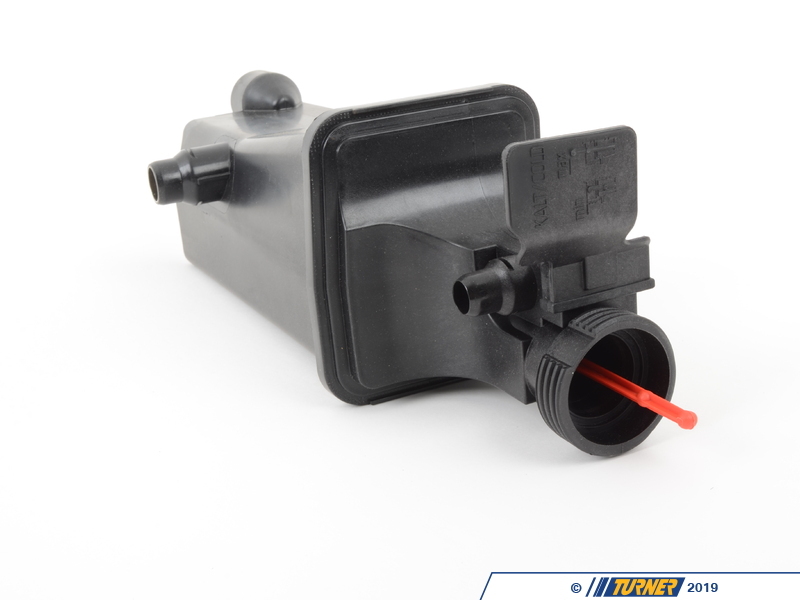 Pre-emptively replacing the expansion tank as part of an overall maintenance plan can prevent you from getting stranded from a sudden failure later on. 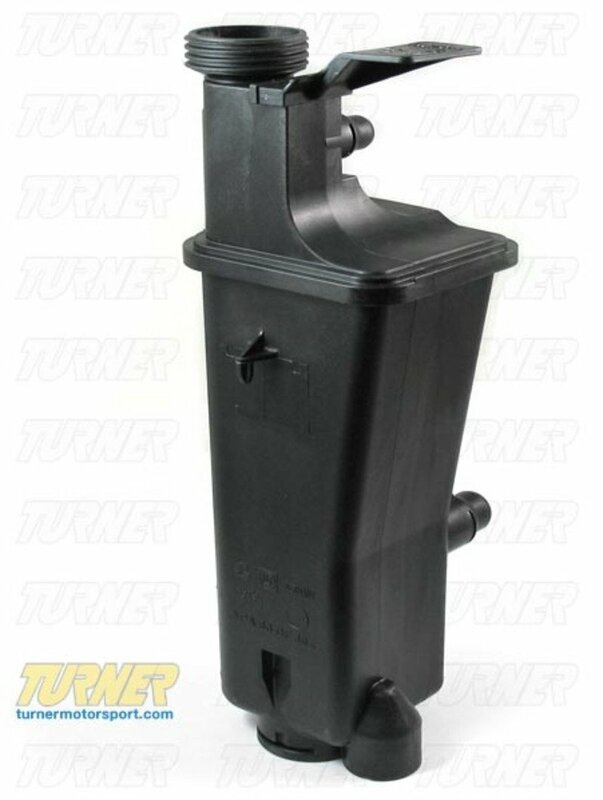 This is the most recent expansion tank design from Hella-Behr, the OEM supplier to BMW. 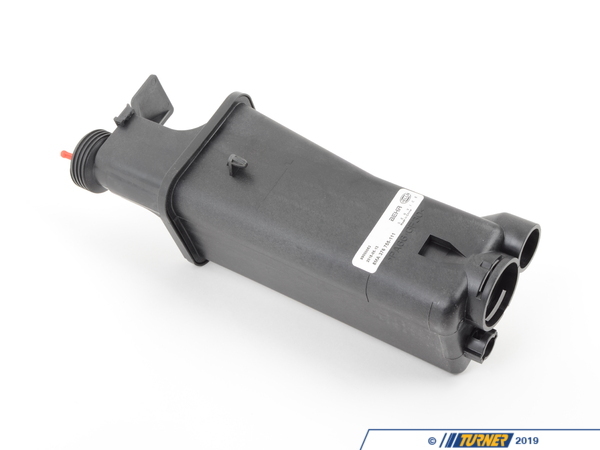 It replaces the original BMW part number 17137787039. Other items to consider replacing at the same time are the radiator cap, coolant level sensor, lower radiator hose, coolant temp sensor in the lower hose, and the hose clamps. If your car has an automatic transmission you should also replace the oil cooler thermostat in the radiator frame, which is a common source for leaks.